How do I pay my first mortgage payment? After closing the sale on buying a home it’s time to start sending payments to your mortgage servicer. Buying a home is the most stressful event of modern life. Now that it’s done, you can breathe a sigh of relief, settle into homeownership and start paying off your mortgage. With all the documentation involved in a home purchase, it’s reasonable to be unsure of exactly how much your mortgage payment is and where to send it. If the paperwork you’ve received isn’t clear about how to pay your mortgage, you’ll want to follow up with your lender for some clarity. Mortgage servicers recognize that the “one-size-fits-all” customer service model is obsolete and offer a myriad of options for remitting payments. MBA, the Mortgage Bankers Association, recently released a chart of the week that looks at the many ways borrowers remit their mortgage payments. How Do Borrowers Remit Mortgage Payments? Nearly 30 percent of borrowers set up auto-pay through a checking or savings account to pay their mortgage. It’s the most popular mortgage payment method, and as MBA says, it’s arguably the “cleanest” form of remittance for mortgage servicers. Close to 25 percent of mortgage payments are sent via mail, with borrowers primarily responding to servicer communication through coupons, statements, and e-statements. Mail is still a standard way to make your mortgage payments, but borrowers should beware that a lot of statements are automatically generated and processed through the United States Postal Service. If you don’t receive a statement one month, it doesn’t mean you don’t need to make a payment. Your loan documents (sort of) clearly state that you are required to make each mortgage payment. (And, that’s true even if you make additional payments toward prepaying the balance.) Your mortgage statement could have failed to print, might have been stolen, or it may have gotten lost in the mail. Follow up with your mortgage servicer to confirm that you never received it. More than 20 percent of borrowers remit payments using their mortgage servicers website and one percent pay through loan servicer’s mobile application, a payment method that’s likely to grow as more loan servicers develop their own applications. Almost 5 percent of borrowers prefer to make mortgage payments in person at a local bank branch. 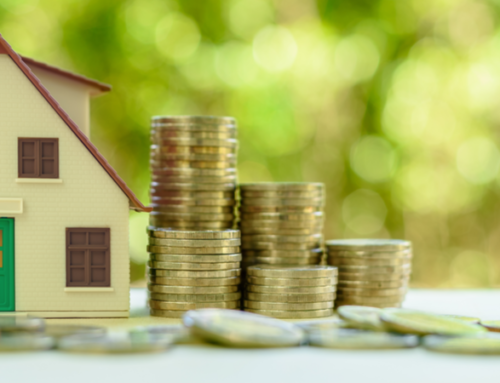 Regardless of how they choose to pay, what matters most is that homeowners are making their mortgage payments, and they’re making them on time. MBA Research found the delinquency rate for mortgage loans on one-to-four-unit residential properties in the fourth quarter of 2018 was at its lowest level since the first quarter of 2000. What Might be Hiding in the Fine Print of Your Mortgage Documents? What is a Mechanic’s Lien and Is There One on Your Property? What Type of Homeowners Insurance Policy Should I Get? Is a Mortgage Recast Right for You?How Are Property Taxes Calculated?